Discussion in 'Camera Installation Questions' started by vidicam, Oct 26, 2018.
is there a list of the mutually usable drivers. Do you mean the browser plugin that renders the video in Live View? Not built in to the camera firmware to download from? I've seen some work with Adobe Flash, and also with Apple's Quicktime. the best thing is of course an app or program that the camera looks up for you. Blue Iris is one of the programs that do it the best but not always! But often it does not work and then you have to figure out which driver works for your camera and in some programs there are 100 choices. IP cameras do not require 'drivers' like a printer or a video card. As @alastairstevenson mentioned, you may need a plugin for your browser, along with the correct URL to type into your browser, that will bring up the embedded webGUI of the camera so you can have a live view, configure the camera, etc. I visited the site supplied by your link above and although I do not read/speak Dutch (you do MUCH better English that I do Dutch), I did see mention of 'ONVIF' compatibility. You might download and run the free Onvif Device Manager, see if it will discover the camera and if it is truly ONVIF-compatible it should reveal a RTSP URL to use to view your camera, as in the example below. EDIT: You can generally use the free player VLC to view a RTSP stream. bp2008 and alastairstevenson like this. Ispy 64 bits is a very good app for you desktop it's just as good as Blue Iris and costs you nothing it is completely free. actually, ispy is crap compared to blue iris - you either have not used BI or bother to learn its plethora of features or you have not used ispy. There are many function that blue iris has that are missing in ispy. you are absolutely right, but Ispy is very useful for your local network. it is also a fairly good program to learn how to use IP camera. many of these modules are also used in the well-known brands. the camera I mentioned earlier is for example from Sony and gives a particularly good picture. often it is a disadvantage that the Chinese seller does not know what he sells and often English is bad, just like mine, but there are exceptions. lol, I busted you lying. You are also highlighting your lack of understanding about these cameras - particularly the importance of firmware. Stop buying junk crap. Youll learn the hard way. NoneYa44 and philme2 like this. Well, I'm just starting out and i can say the $60 cheap Chinese AnpViz that i purchased from Amazon didn't come with a password, and the software designed for it can't find it, nor can I see it in my ASUS router, so i'm completely stuck. Whats a decent camera, it doesn't need to be feature rich its just for tinkering around with with my QNAP NAS. I see that cam is a bullet and wireless. I don't recommend either, but if your budget is tight (or you have a $60 credit with amazon) and you can run CAT-5e cable, I recommend the Amcrest IP2M-843E. It is a rebranded Dahua, POE and is 1080p. I have installed 8 of these at 2 sites for clients in 18 months and they have performed well. You'll need a POE switch, POE NVR or a POE injector (I recommend the TP-LINK TL-PoE150S ) . I actually have a TP-Link POE Switch (5 ports, 4 POE,, 1 Standard), and I'll check that Amcrest Cam out on Amazon, thanks. It's a rebranded Dahua; I have and installed 4 of it's cousin, the IP2M-721 (720p, non-POE) and they've been solid. Now I have a Dahua 6MP IP Cam POE on order as well, its a bit different than the one above but it was much cheaper and seemed to have good ratings. Amazon has accepted the return of the Cam in the picture above. It just doesn't work. Oh, ok. 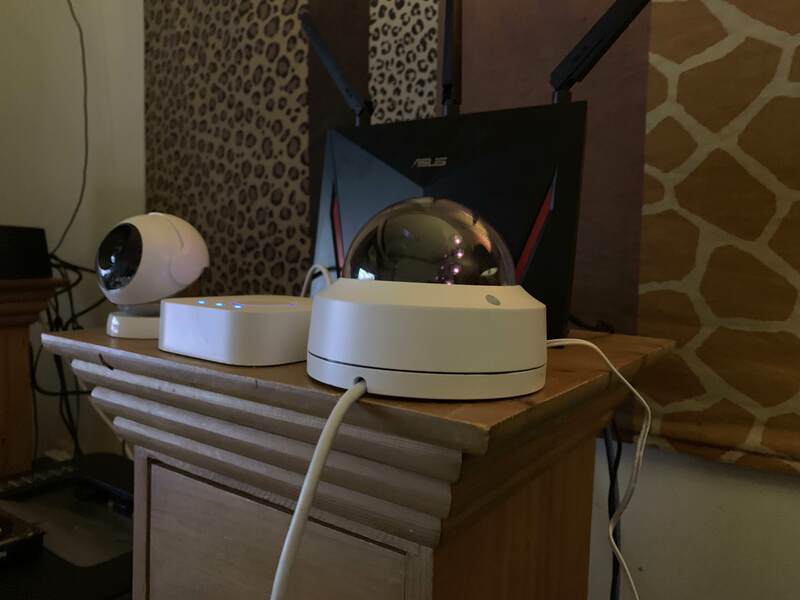 So, would you possibly know if the DAHUA 6MP POE IPC-HDW4631C-A 3.6mm BUILT-IN MIC HOME SECURITY DOME IP CAMERA falls into that category? (I don't expect you too, just hoping). That seller is a liar. It is a china region hacked camera that is not upgradeable. IPC-HDW4631C-A - any thoughts? Actually you're correct, as it says in the listing "do not upgrade the firmware for stability" ... I'm sick of these types of sellers :-( ... purchase cancelled. Thanks. 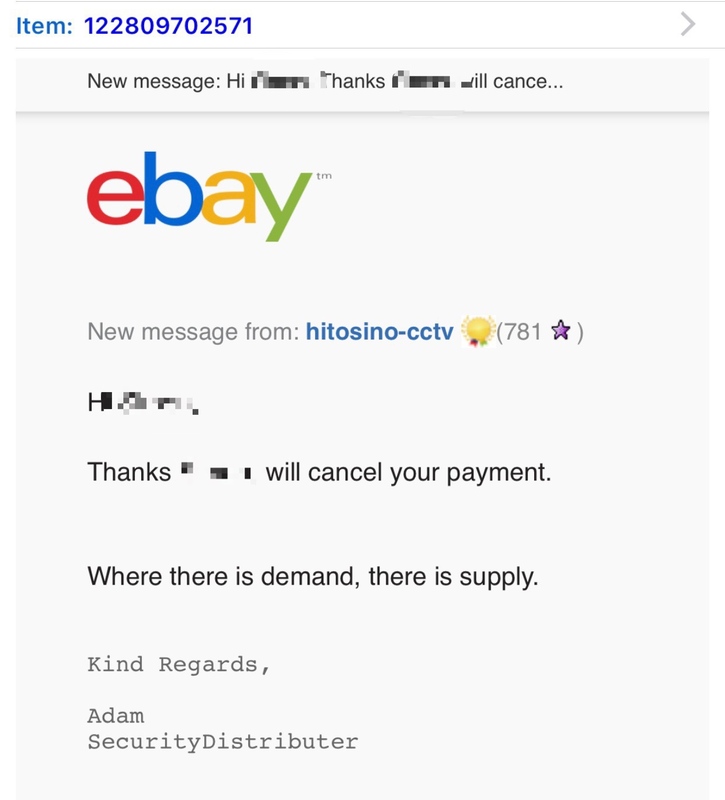 When I requested to cancel the Cam, I asked why they're selling these compromised Cameras (which they falsely claim are "Australian Stock"). This was their reply. Edit: He kindly replied to another message I sent, explaining customers want these cheaper Cams and purchase them more often than the upgradeable Chinese Stock they sell. He claims "Australian Stock" means they're stocked in Australia. However, I've always understood that it meant the stock was designed for the Australian market, with Australian power adapters etc. Maybe I'm wrong.